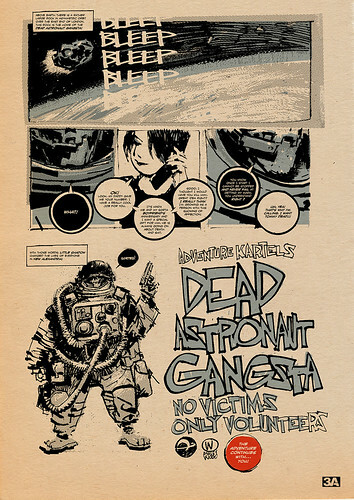 toybot studios: 3A Dead Astronaut Gangsta...!!!! 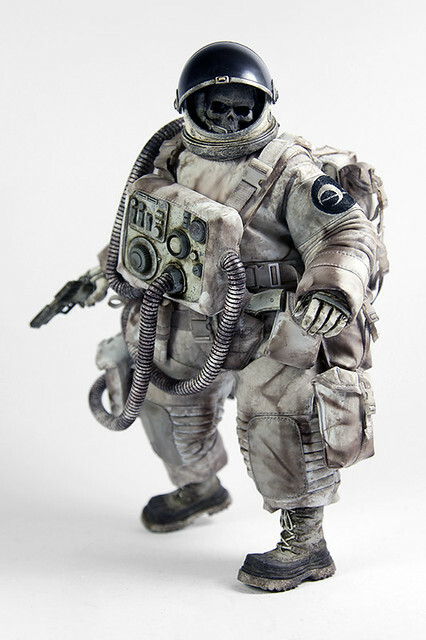 This Dead Astronaut Gangster is one of the first 3A toys that i've really been stoked about recently. 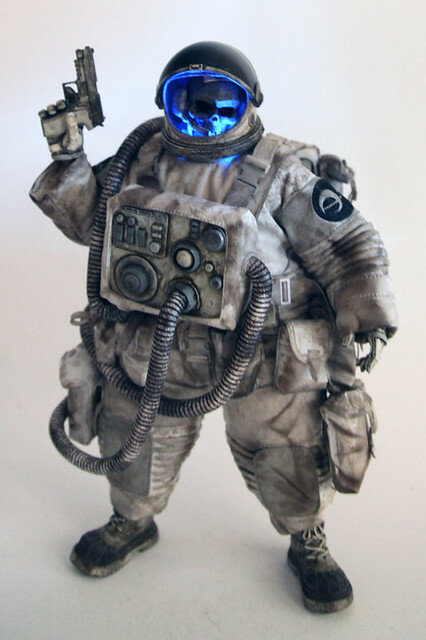 I like the rotund appearance, the skull and the blue LED. I envision that he's Notorious B.I.G. 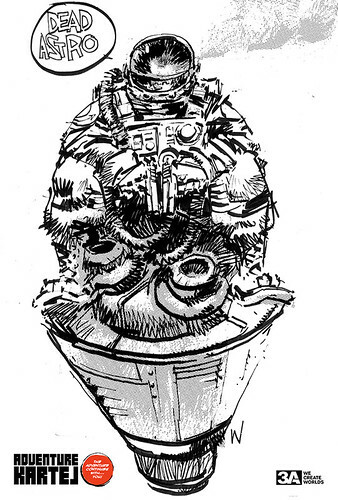 in space. 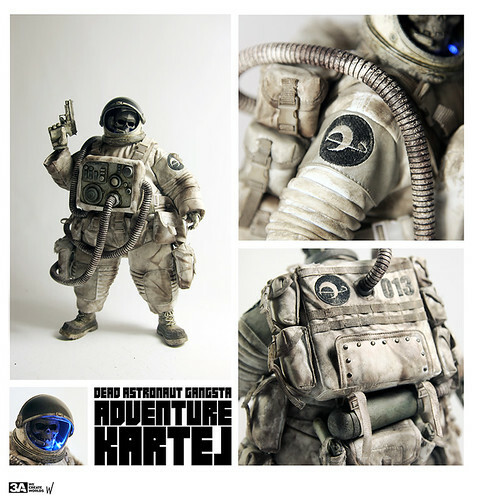 Why would a fat, dead astronaut need a gun in space you ask? Who knows, maybe for propulsion? Now the long wait begins. 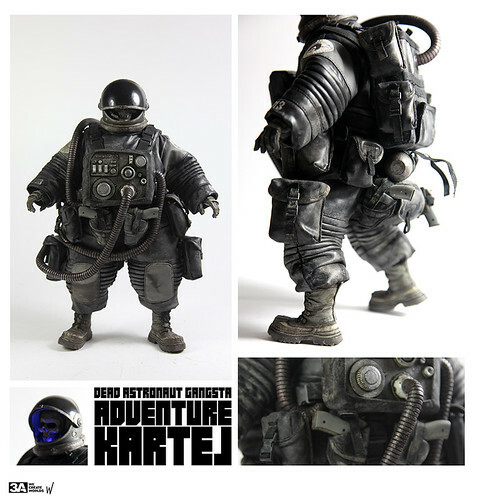 Figure is 1/6th scale and stands approximately 32 cm (12.5″) in height, when fully suited up. 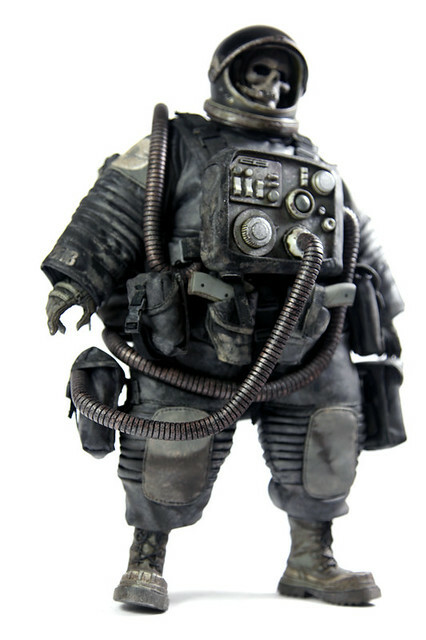 Outer space suit and space helmet are removable. 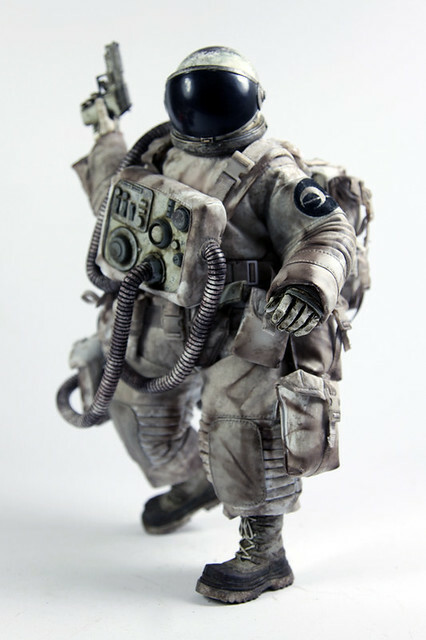 Figure wears a two-tone black and white, zip-up under-suit beneath the main space suit. 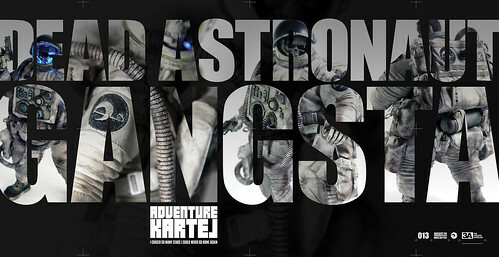 Each Dead Astronaut Gangsta features an Illuminated LED Helmet with tinted, slide down front visor. Comes with a two-tone communications head cap (aka ‘snoopy cap’) that is worn underneath the main helmet. A set of 4 Pistols and corresponding holsters are included with each figure. 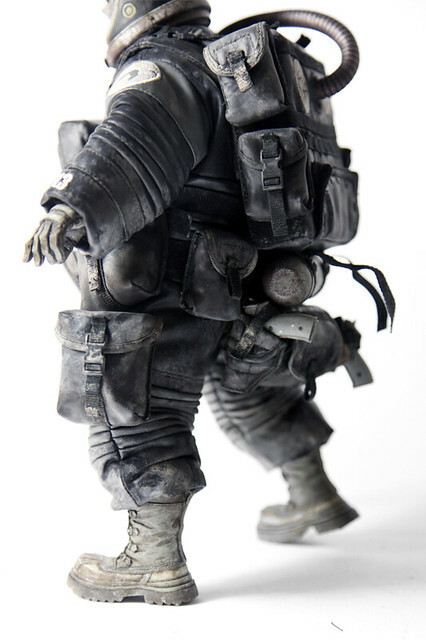 Also features 3 hoses that connect to the front control panel, backpack and oxygen tank.